On the first weekend of March 2016, the first edition of The Legends Trails was held in the historic Belgium Ardennes. The 250km course was over constantly undulating terrain. A wet winter had turned the trails into a muddy quagmire which had been covered with slushy spring snow. The temperature hovered around freezing, with more snow falling on the higher hills and sleet lower down. This chilling, wet environment made an almost perfect recipe for hypothermia and immersion (trench) foot. 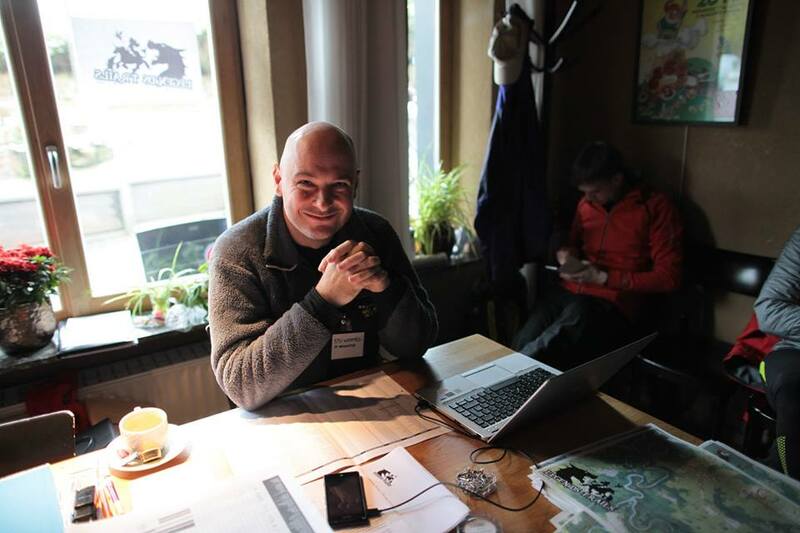 The Legends Trails is the creation of Tim De Vriendt and Stef Schuermans. 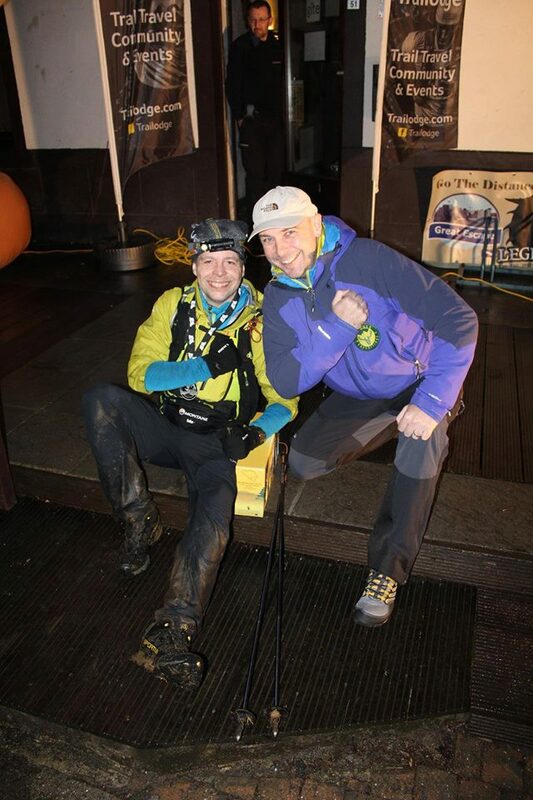 Both have raced in the Spine Challenger, a 108 mile expedition style ultra race along the Pennine Way in the UK. Taking their inspiration from the Spine, they developed The Legends to be the longest and certainly the most arduous ultra race in Belgium. Like the Spine, there are fixed checkpoints with hot food and drinks for the runners, who may also bivvy outside to rest. But the race is non-stop, in so much as the clock is always ticking towards intermediate and final cut-off times. Many Legends racers have written engaging and captivating first had accounts of their varied experiences in the atmospheric forests of the Ardennes. These blogs should serve as an essential reference for future Legends racers. They give insights into kit and clothing selection and also indicate what strategies worked well. But as always there should be a word of caution regarding using information, research and social media: What works, or indeed does not work, for them will not necessarily be the same for someone else. The only way to develop a robust strategy and select kit that works for you, is to personally test, review, develop and improve. Its a mantra we encourage on Ranger Ultras 'Complete Racer' training courses, along with the skills and shared knowledge for racers to make informed decisions regarding their personal racing strategies. The ability to independently navigate is an essential skill for the Legends. With frequent changes of direction along the whole course, racers cannot afford to mentally switch off. Some sections do follow GR way marking which helps. But racers still need to be aware of their location identify where the course leaves the GR trail. Also there are numerous local 'promenade' trails intersecting and crossing the course, adding to the opportunities for navigation error. GPS with uploaded GPX files was the navigation tool of choice for many racers. However, the environmental conditions contributed to several units failing. In previous blogs, I have recommended that GPS units are used inside a protective, transparent bag, with a silica gel sachet added for good measure...no matter what the manufacturers claims as to water resistance. But slavishly following GPS, with 'heads down' is surely not necessarily the most efficient or engaging way to run a trail race. With some basic navigation techniques, such as orientating the map, contour awareness, timing and an understanding of location grid references, a racer can journey with greater efficiency. 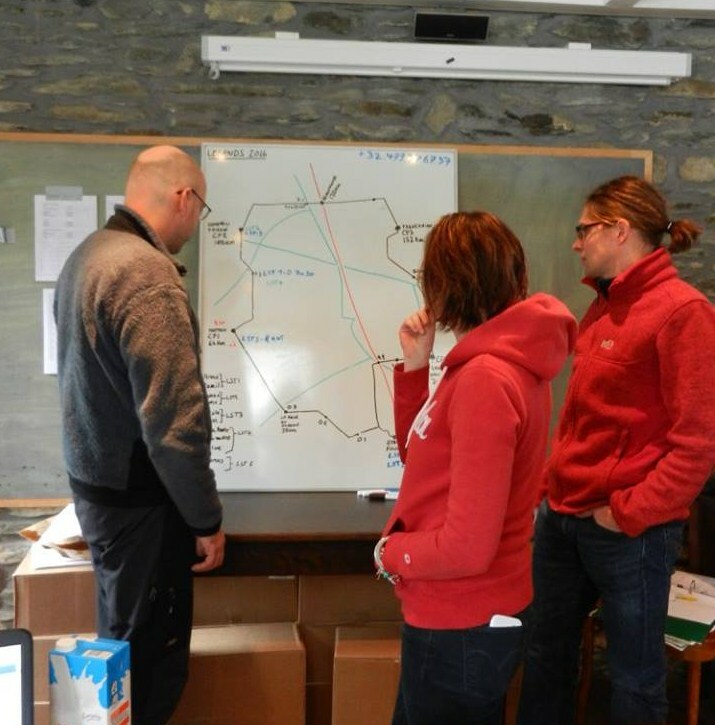 Also with a paper map it is easier to read ahead and anticipate upcoming route finding challenges. That said, I'm not anti-GPS. When a ultra racer is fatigued, sleep deprived and up against time cut offs, the ability to dial up a grid reference to relocate position can save vital minutes. Whether GPS, map or compass, your ability to observe and understand, all are legitimate navigation tools, so why not have a range of tools and techniques at your disposal. 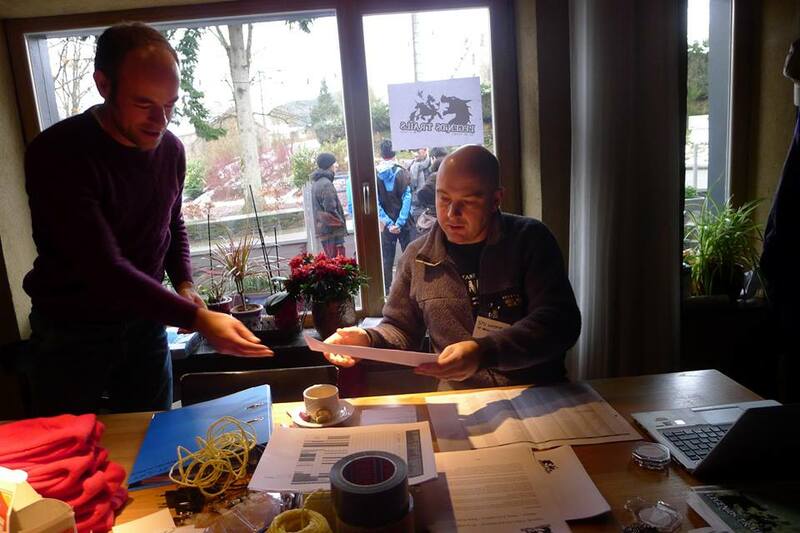 I was delighted to help run the Legends Safety Team, along with fellow coordinators Wim Bastiaens and Dieter Van Holder, plus Joop De Wel managing the racer tracking system. Using the successful model I developed for the 2016 Spine Race, the team quickly picked up the simple reporting and monitoring system. The safety teams on-the-ground did a superb job of recovering racers from the course and bringing them to warm checkpoints to recover from their ordeals. It was interesting to note that racers tended to self select out of the race before their condition seriously deteriorated into hypothermia. Perhaps this was due to the Legends being a new style of endurance race of a distance previously unheard of in Belgium. In my past life, I worked as an aerospace engineer. Often reporting and investigating failures, quality escapes and non-conformance. I apply this process orientated approach to race safety. The aim is to have the simplest, easiest to implement solution which has capability and capacity to suit the event. Events such as Legends rely upon volunteers, many of whom are working together for the first time, so the safety system had to have minimal training and the best possible communications. The inaugural Legends Trails was a huge success, both from the perspective of the racers and the race organisation. In the final kilometers of the race, we were treated to an incredible chase down of Belgian elite runners by visiting ultra racer, Michael Frenz and local lad Joris Jacobs. One by one Michael and Joris overtook the lead runners. It became a edge of seat 'will they, won't they' spectacular! In the final metres, Joris ushered Michael forward to claim the win. Later saying that he would not have made it as far as he had without Michael's navigation skills and strategy. It was a gesture which of a true sportsman, emotionally appreciated by everyone watching and garnering both athletes with the utmost respect. Every racer following into the finish was given equal applause and rousing welcome to the finish. They were presented with their finisher's medal by Tim and Stef along with a sponsors gift of La Chouffe beer. On the first weekend of March in 2016, Legends were made. In 2017 we look forward to making some more.